Did the New 'Captain Marvel' Trailer Show Us a Scene From the End of the Movie? It’s not immediately obvious that the exchange in question even is one, because it involves one bit of dialogue from early in the trailer and another bit that comes far later. 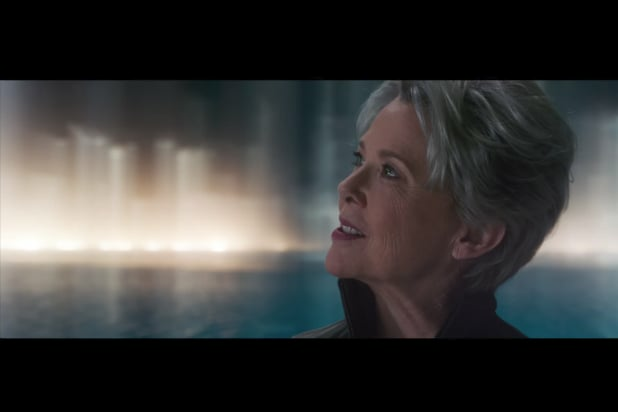 The first part comes right after the Marvel logo, when Annette Bening’s unnamed character is telling Carol Danvers/Captain Marvel (Brie Larson) about her backstory. It’s actually a weird line even in the context of the trailer — other dialogue indicates that for at least a while Carol is going to think she’s just a Kree alien, and not a human from Earth. So that line above feels like it’s part of a late stage conversations on those grounds alone. But something Captain Marvel herself says near the end of the trailer reinforces that idea. Before connecting those two lines to each other I remarked to one of my colleagues here at TheWrap that Carol’s comment felt like a defiant response to the main villain, who would be somebody who has been manipulating her. And then I noticed that we get a brief glimpse at the scenery when she’s making that declaration. And here’s Bening delivering the other line from the beginning of the trailer. That’s pretty obviously the same place, and with standard shot reverse shot dialogue framing. 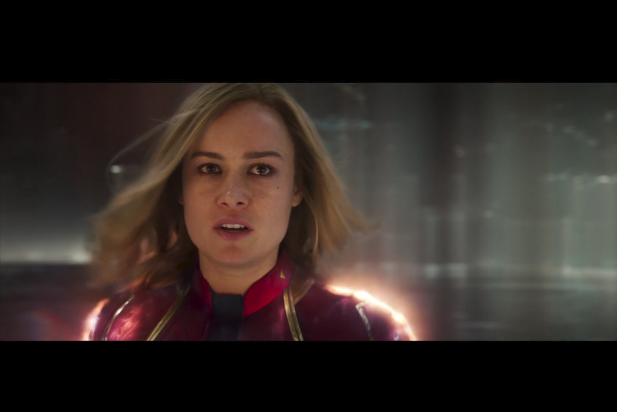 The vibe from these first two trailers is that the structure of the movie will be something like: in the first act, Carol chases the Skrull Talos (Ben Mendolsohn) to Earth and discovers she has a history there; in the second act, she finds out what that history is; in the third act, she responds to that revelation. 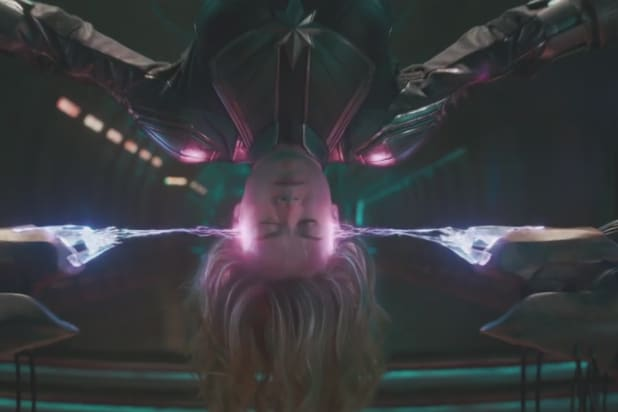 This scene from the new trailer plays like Carol has found out she’s human and is confronting the person who gave her those Kree superpowers/hid her past. Then, that person tries to spin the situation as being for Carol’s benefit. And, finally, Carol defiantly declaring that she’ll no longer be a puppet for the Kree Empire. So if that’s an accurate read on the general structure of the film and on this scene in particular, that would place it in the third act. 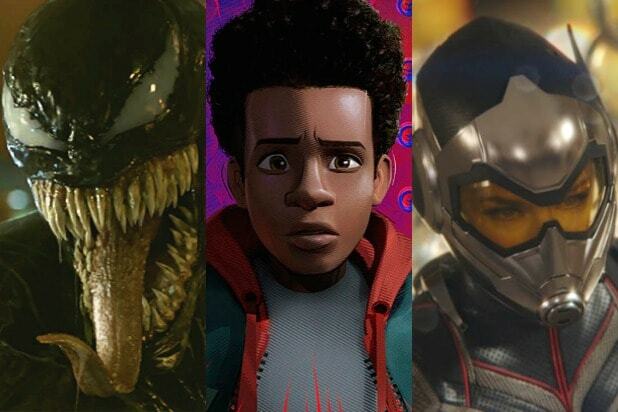 So while we congratulate ourselves for piecing these details together, we’re still missing crucial pieces of what will matter in the story this movie presents. There’s definitely some other hidden layer. Unfortunately, we still have to wait another three months to find out what that layer is. It’s also possible that this is an intentional misdirection inserted in such a way that it seems like they were thought you’d never notice, but which they actually hoped you would notice so you wouldn’t figure out the truth. Damn, Marvel, you got me paranoid. Whatever the answer ends up being, “Captain Marvel” is out March 8.